Turn your photos and memories into beautiful canvas and acrylic prints. In store services also include passport, VISA and ID photos (UK and Worldwide). Transfer your old home videos and cine films to DVD. T-shirt and work wear printing. Photo restoration. 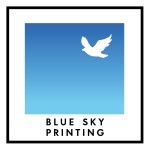 Business printing including business cards, leaflets, pop-up banners and advertising signage.